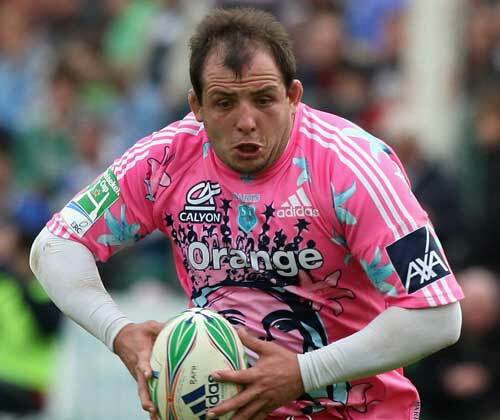 Stade Francais prop David Attoub is set to return to Top 14 action on Wednesday after his 52-week ban for gouging. The 29-year-old was suspended for gouging Stephen Ferris during Stade's Heineken Cup match against Ulster on December 12 last year. An original ban of 70 weeks was reduced to 52, but Attoub, who could return against bottom side Bourgoin, is still fueled by a sense of injustice. "I am very relieved to return to competition," he said. "I hope to help the team up to recover quickly from our current ranking. Everything was hard, especially the way the British treated me and how it went. Now it's happened and I want to see the future with the team. "This was an injustice. I found it a bit excessive. Now I can play again in Top 14 after one year of suspension, but still not in the European Cup." Stade are struggling in ninth position in the Top 14 after six wins from 13 games so far this season, but Attoub is confident that they can start to climb the table. "Our new game system is quite attractive," he said. "We are all frustrated with our ranking and I hope we will have a very strong second half of the season."